Hong Kong has a land crisis, but it goes beyond mere availability. Not only does there seem to be a fundamental lack of consensus in the actual quantity of new land creation required, if in fact new land is required at all, but more than that, there appears to be a fundamental flaw in the development decision making process. Despite the concerns continually voiced by professionals and public alike about the lack of quality objectives, solid data and visionary thinking in a changing world that should inspire the population and justify key decision making, Hong Kong just cannot break away from building by numbers. ​Hong Kong develops. That’s what it does. It builds and expands and has done so for its entire history. But to what end? After all this growth experience, wealth creation, employment generation and skills development you would have thought the city would, by now, have been able to develop the best living experience money can buy? But no, the mass of the population is seriously unhappy. In fact, they are the least happy people in the developed world and even less happy than most of the populous of the developing world. 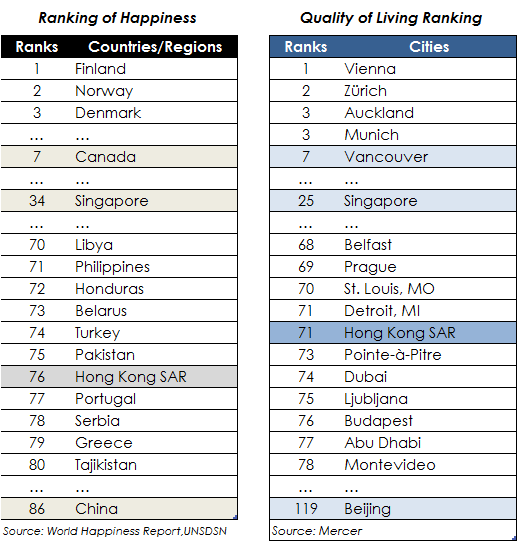 Hong Kong ranks 76th in the ‘World Happiness Report’ of the United Nations’ Sustainable Development Solutions Network (SDSN)  and 71st on the Mercer ‘Quality of Living’ index. How will things ever change? 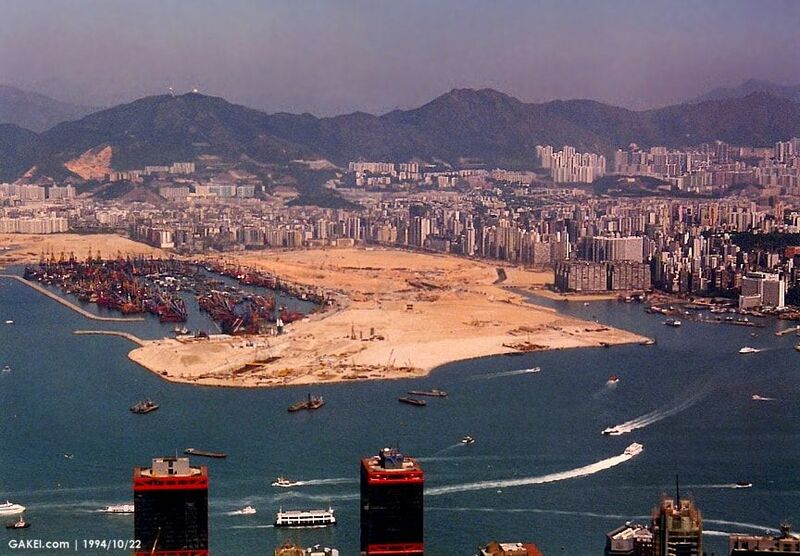 ​There seems to have always been a need for new land in Hong Kong, started by the reclamation of coastal fields for salt production going back thousands of years. 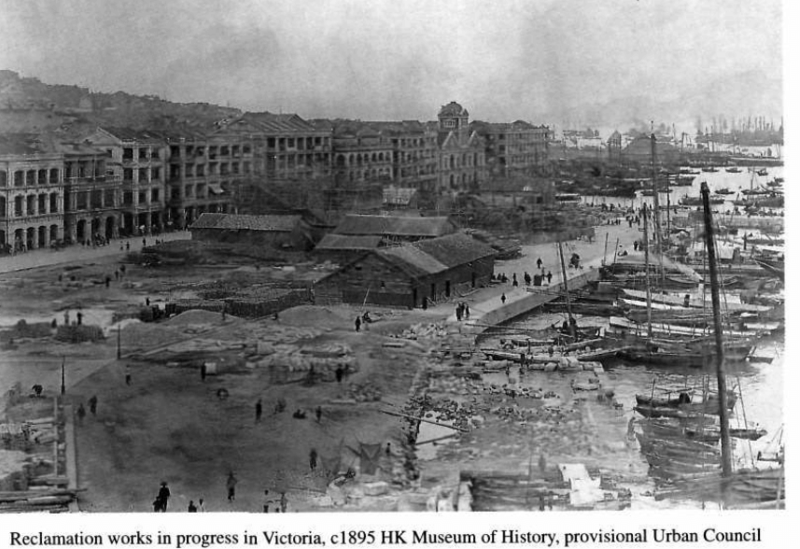 Major reclamation projects started in the mid-19th century with the ambitious ‘Praya reclamation’ of 1890’s by Hong Kong Land, establishing some 24ha of waterfront area in Central. 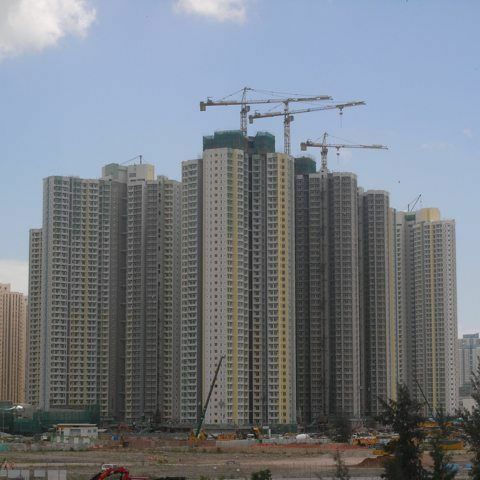 ​The development of the New Towns since the 1970’s has been mostly built on reclamation including Tuen Mun, Tai Po, Sha Tin, Ma On Shan, West Kowloon, Kwun Tong and Tseung Kwan O. The first phase new towns were primarily aimed at providing housing for the more than a million people living in temporary shacks on hillsides and on boats in typhoon shelters, as well as addressing the continuous migration of refugees from China. 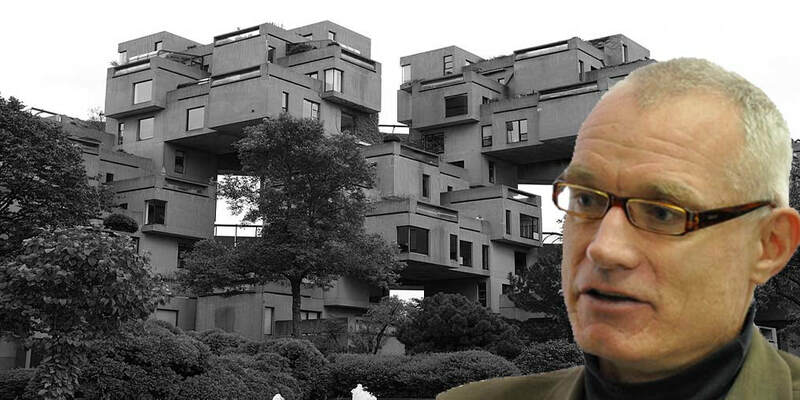 The simple, fast techniques for establishing such extensive housing areas at that time were a necessary and bold response to a serious and continued crisis on a huge scale. ​The achievements of those periods are well acknowledged in rapidly alleviating overpopulation and improving basic quality of life. 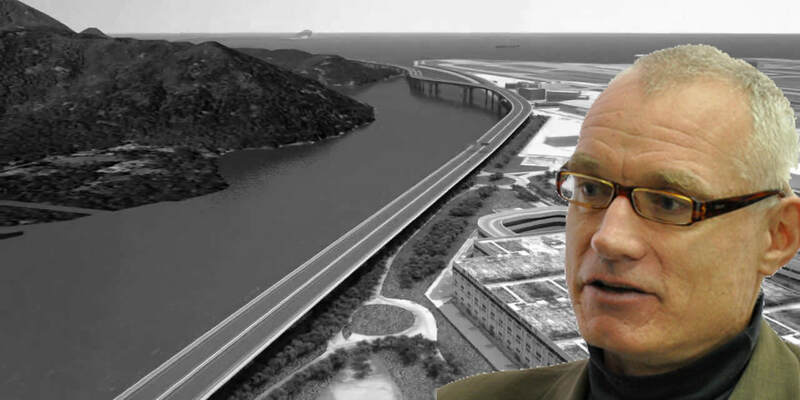 However, the further planning intent to provide local jobs near to these new developments was unsuccessful as the planners failed to foresee the movement of manufacturing industry to China just several years later in the 1980’s. The industrial estates of the first-generation new towns remain largely underutilised and the populations commute extensively to central urban locations. A clear lesson that time doesn’t stand still and planning for the future is an inaccurate science, one where anticipating future trends rather repeating those of the past is paramount. 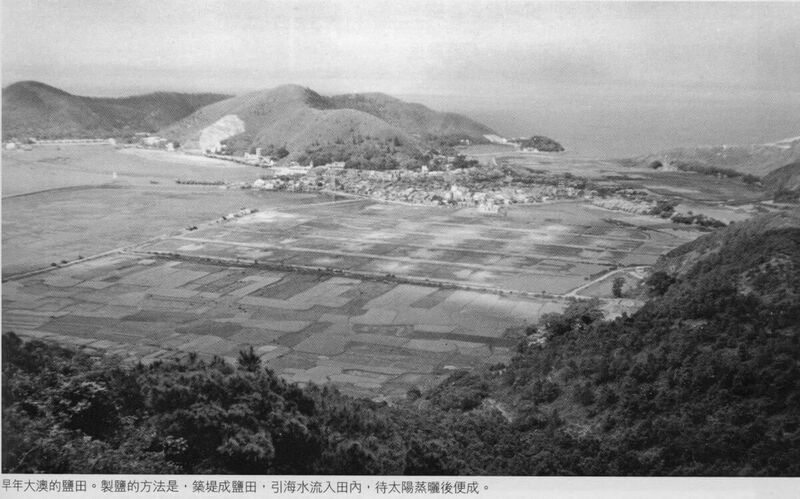 Later new towns, like Tin Shui Wai and Tung Chung, as a result of the industrial shift, did not include for significant local job creation as a major objective and were merely provided as distant commuter settlements, albeit that Tung Chung could service the new airport. However, the planning principles and tenets of new town development have changed relatively little since the 1970’s. 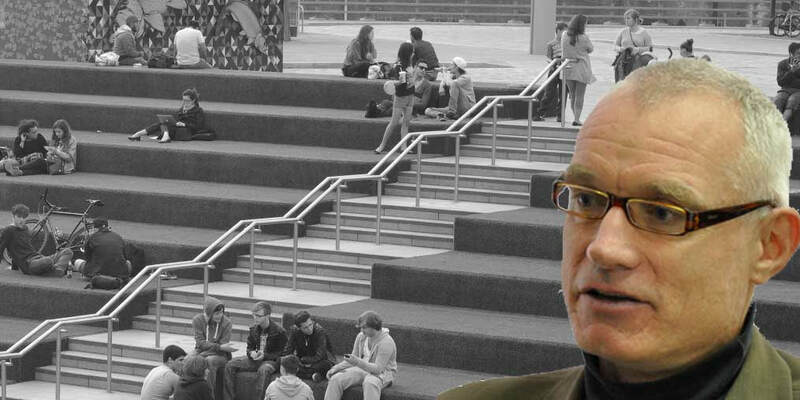 IS THE 2030+ VISION VISIONARY? Today’s land crisis is unlike that of the 1970’s. 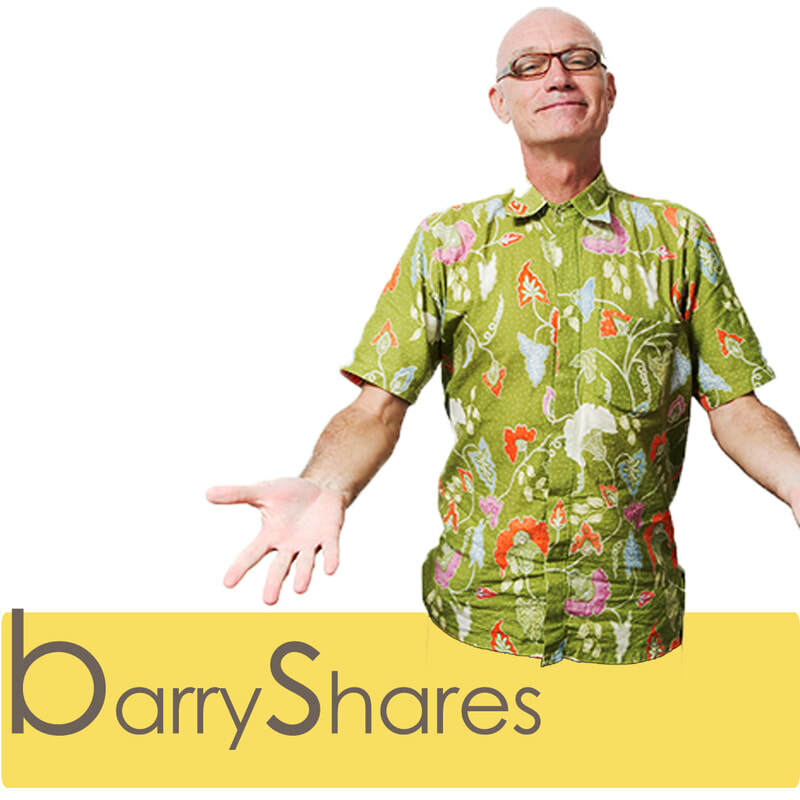 However, we still address it in the same, economic and quantitive terms. Reading the pages of the government’s ‘long term’ policy vision document, “Hong Kong 2030+: Towards a Planning Vision and Strategy Transcending 2030," amongst the plethora of statistics, benchmarks and generalities, one word is conspicuous in its almost total absence, “quality”. The document states its ‘Aspirations and Vision’ as “To become a liveable, competitive and sustainable Asia’s World City” but gives little clue as to what liveable should mean, provides no measurable liveability targets or addresses what is a suitable term of vision in the lead up to a critical 2047 and beyond? Edinburgh by contrast has a ‘2050 City Vision’ campaign, initiated 2 years ago. Vancouver, now widely recognized as one of the most liveable cities in the world, set clear quality goals in 2011 with measurable and attainable targets addressing three overarching areas of focus: Zero Carbon, Zero Waste, and Healthy Ecosystems in its clear vision to become the ‘greenest city in the world by 2020.’ More than 35,000 people participated in the development of the Greenest City Action Plan which has now been rolled out to a commitment for the city to become 100% renewable by 2050. 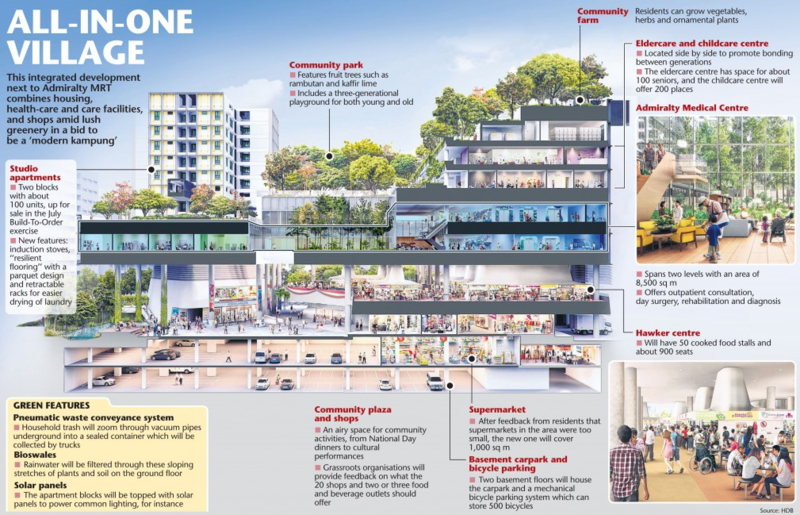 Singapore can of course point to its “garden city” quality vision back in 1967 as a strong policy driver to transform itself into a clean environment in order to make life more pleasant for the people . Nowadays however, the city-state’s “Smart Nation” initiatives directly lead to “support better living, create more opportunities, and to support stronger communities. Singapore is already the ‘most liveable city’ in Asia according to Mercer. 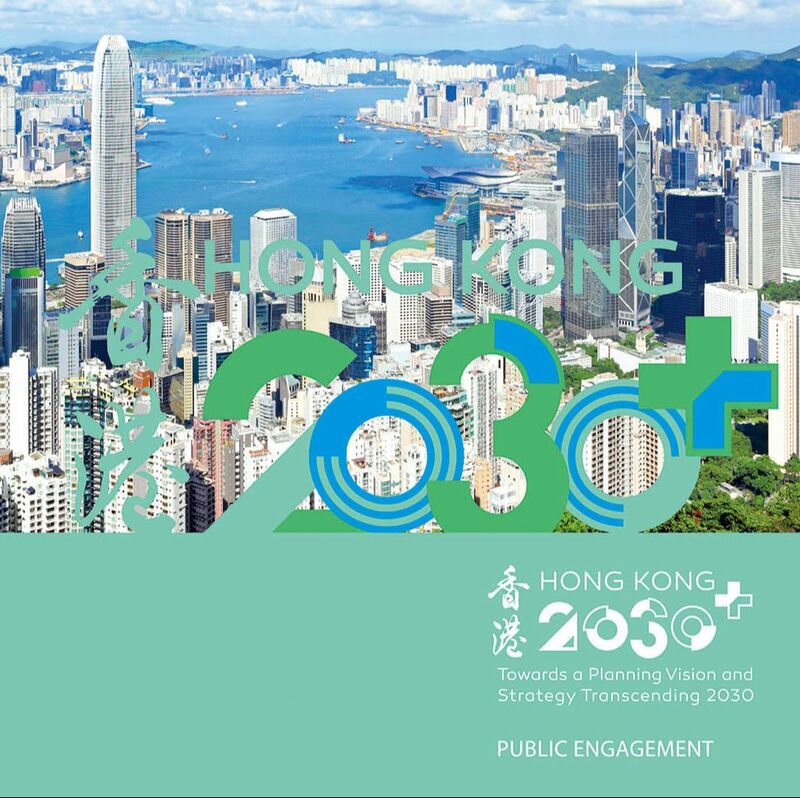 ​Hong Kong 2030+ is now shaping development decision making, including the decision to create a new East Lantau Metropolis and puts forward three aspirations: - planning for a liveable high-density city; embracing new economic challenges and opportunities; and creating capacity for sustainable growth. That’s all well and good but where are the clear living quality targets to meet these aspirations, there’s no intent to directly make citizens happier. Does this document really reflect the peoples’ aspirations or does it more reflect development inertia? Is this really what the public asked for during consultation on how their future lives will look? Were the right questions even being asked? 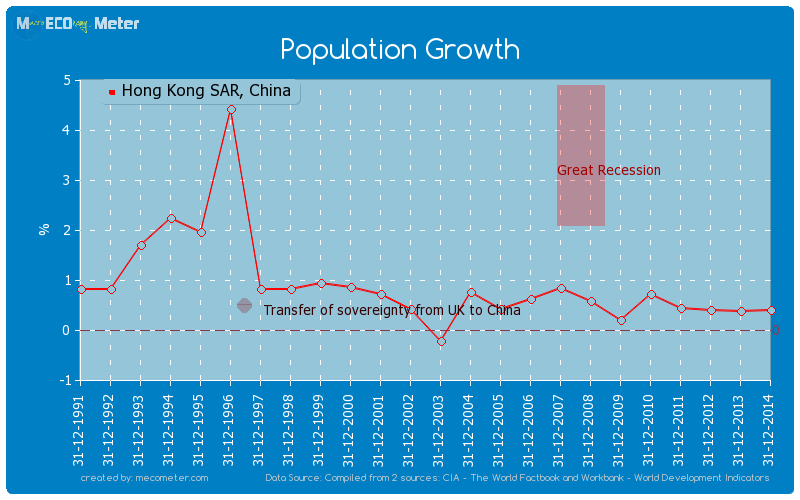 Our future thus being planned for us, fails to go much beyond catering to the most basic linear projections based on population change, guesswork and holding the fanciful notion that Hong Kong will continue to grow in much the same way as it has always done. Census and Statistics Department project a peak population of 8.22m in 2043 from 7.4m today. Funny enough that’s an annual growth of 32,000 a year, the current figure, extrapolated for the next 25 years. But why that figure should stay constant is not clear. 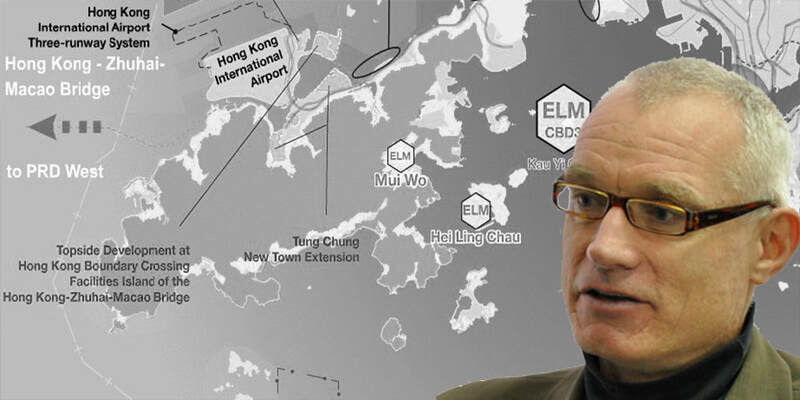 Eminent Hong Kong Architect, Planner, and Urban Designer, Peter Cookson Smith, highlights that the increased economic collaboration of Hong Kong in the Greater Bay Area (GBA) currently being promoted, including potential tax and identity card integration, should lead to more living opportunities in the GBA for Hong Kong residents, where housing costs are significantly lower than in Hong Kong. Around 530,000 Hong Kong residents stayed in Guangdong province for more than 6 out of 12 months in 2017 and in the two months since a new initiative in September, more than 70,000 Hong Kong residents have already submitted an application for a residence permit in the mainland. So whilst Government appears to be encouraging its population to live and work in the GBA, he points out that it paradoxically expects a continued increase in the population of Hong Kong itself. Whatever does happen towards 2047, one thing we can expect is that stable and linear population growth is unlikely to be one of the scenarios. It’s also worth considering that we have now entered a new epoch; the Anthropocene, and have hurtled into the fourth industrial revolution which will inevitably lead to a shift of the economy’s pillar industries. The speed of current breakthroughs has no historical precedent with evolution at an exponential rather than a linear pace and disrupting almost every industry in every country around the world. 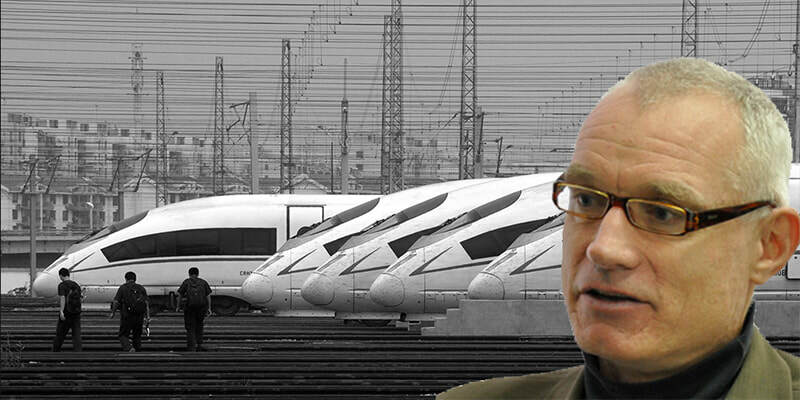 2030+ fails to identify and respond to the paradigm shift arriving with automated transportation and inadequately references the implications of increased integration with Mainland towards 2047. 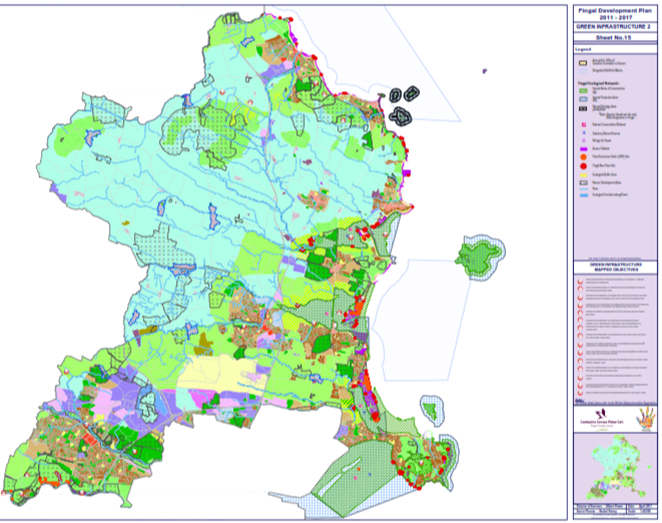 The plans and maps exist in virtual isolation from the burgeoning development of Shenzhen. Back in 2007, when the original ‘Hong Kong 2030 Planning Vision and Strategy’ was released, population change, integration and technology shift were all highlighted as key issues. What got lost in the intervening ten years? Which brings me to land supply. 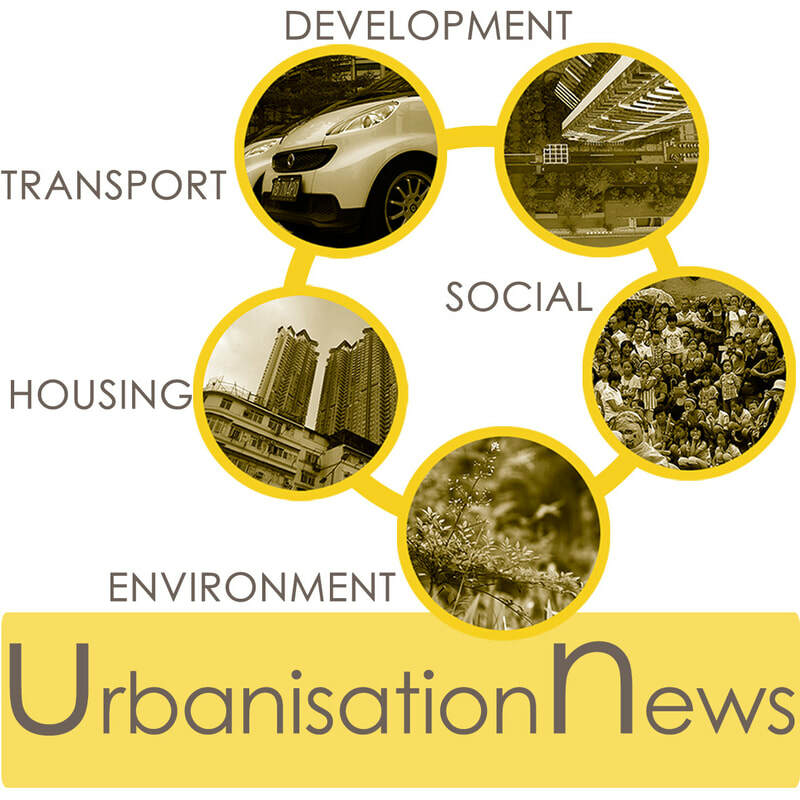 The current discussion has become overly politicised and focused on rapidly objectifying a dubious target of 1200-hectares of land most easily available for housing rather than taking an approach that identifies specific land units that are clearly the best and most appropriate to create quality mass housing. Is the tail wagging the dog? A numbers game again rather than being about the optimum use of limited resources. In all cases the tenet of “right development in the right place” should be adhered to in order to ensure finite land resources are utilised appropriately and optimally. Rapid development to a high-density city in the past decades has already witnessed the significant loss of valuable cultural and landscape resources; the cost of which is only recently being appreciated and citizens continue to remain short of provision and access to connected, quality open space that can make them happier. Cultural heritage and natural landscape, once lost, can never be replaced and needs to be considered as a primary asset in any land use debate. Furthermore, the health, wellness and economic benefits to the population in providing easy access to greenspace, quality cultural resources and unique and special places is well researched. Contemporary planning overseas is increasingly driven by green infrastructure (GI) approaches, where ‘green’ and ‘blue’ landscape elements set clear parameters providing ‘go/no go’ areas for future development. The components of GI can be cultural, ecological, agricultural or recreational and include both managed and unmanaged green and blue space. 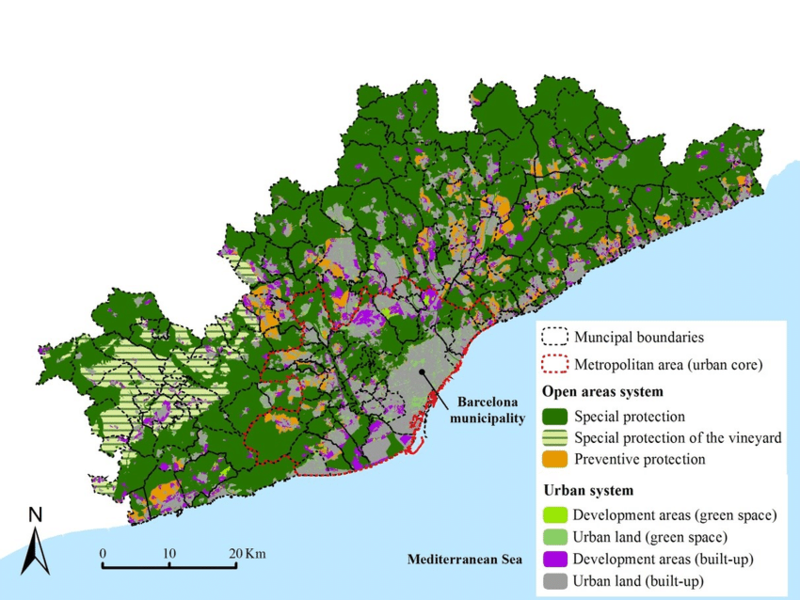 Resources might include cultural heritage attractions, watercourses and drainage reserves, agriculture, sports facilities, urban forests, open space, roadside margins and wetlands that can be linked and used to frame where future development should easily take place around them in a low impact, sustainable model that protects essential ecological processes and systems, performs environmental services such as managing stormwater, recharging groundwater, reducing the urban heat island effect and cleaning air and water. Such planning puts into place regulatory and planning policy mechanisms that primarily safeguard valuable land resources, integrate sustainable practices and mitigate against disaster risk whilst importantly identifying the land most appropriate for development. The multi-functionality of this approach is key to the efficient and sustainable use of land, especially in compact and dense situations like Hong Kong where pressures on land are particularly acute. 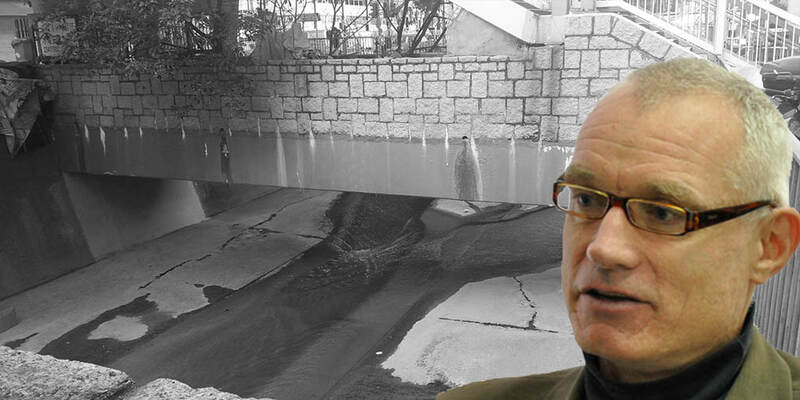 Currently no such green infrastructure mapping has been undertaken for Hong Kong. Our development of land must place a higher intrinsic value on its social, ecological and amenity value, where accessibility, rarity and uniqueness are essential in contributing to the vitality of life. For instance, Fanling Golf Course is a unique cultural, heritage and landscape asset and would form a definitive part of any green infrastructure plan. The suggestion of its use for housing is derived from a social equity issue above a land resource issue. Its promotion for housing further demonstrates poor appreciation in optimisation of land, whilst it may be appropriate for more public access, its necessity for protection as a cultural and working landscape is paramount. The undertaking of comprehensive strategic landscape and environmental infrastructure planning should be the first method to objectively highlight the best opportunities for all future land development and thus avoid scattergun land utilisation based on metrics and legalities. The Hong Kong track record doesn’t inspire. The happiness and quality indexes don’t lie. If people could live on bridges and roads then Hong Kong would be a world beater. Our development and management model engineers miserable places to live, planned not around people but the vehicle. The ten years between 2003 and 2013 saw the number of road vehicles in Hong Kong rise by 30% despite the known impacts to social equity and population health. Cities such as Paris are currently preparing plans to make public transit entirely free and banish petrol cars by 2030. Meanwhile a recent study suggests that private car ownership across the US will decrease 80 percent by 2030, with stranded assets in traditional motor vehicles by 2025, as manufacturers are fully switched to electric production and municipalities fully automate public transport systems. Hong Kong seems to be behind the curve in transitioning and the vast amount of land currently allocated to roads, on / off street parking, fuel stations and transport depots needs urgent reassessment. All new housing provision needs to be based on innovative, car-free development models and prototypes urgently need to be put in place that can form a modern generation of housing stock types. 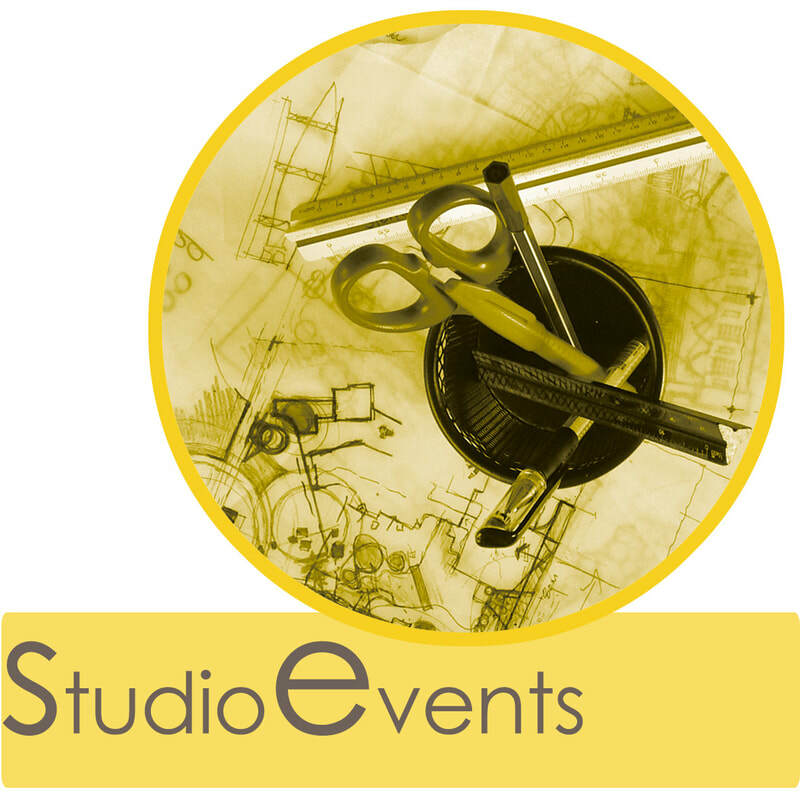 ​Land development options can only therefore be based on a much more sophisticated and integrated planning vision, that goes well beyond that set out in 2030+. Priority must be given to already disturbed sites, in particular brownfields, village type development area, development on Infrastructure and public utilities sites, and military sites. 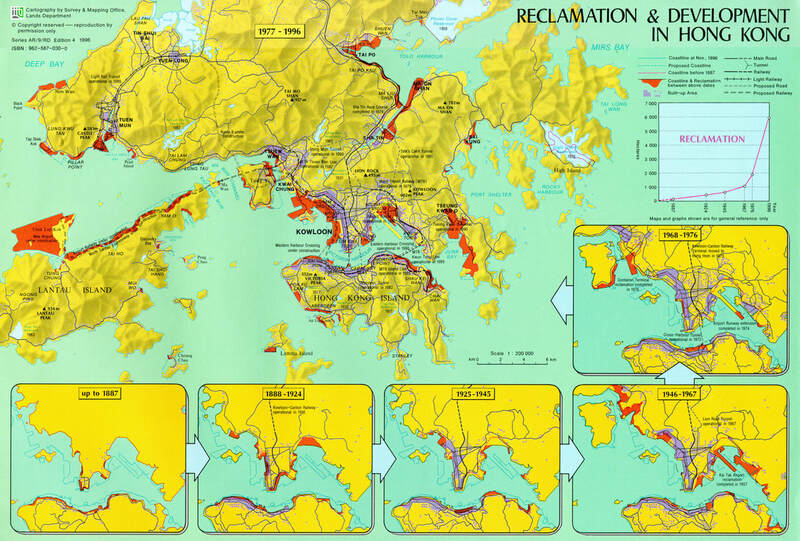 Any land options involving irreversible impact to the natural environment and construction of extensive infrastructure, such as large-scale reclamation, or development of East Lantau should in no way prevail over primary development of alternative and disturbed sites. Has Housing Reached a New Tipping Point? ​Preliminary concepts provided for a new Metropolis at East Lantau, drop all the right ‘buzzwords’ about a “smart” “green” and “resilient” city, that provides commerce and tech jobs with images of green idyllic islands of development. But this is greenwashing, there are no measurable quality targets and this is Hong Kong; can we really deliver that through our existing, siloed and engineering led development processes? The Preliminary Concept Report perhaps more reliably outlines the reality when is describes “provision of infrastructure and delivery of services, cost-effectiveness of infrastructure investment, etc”. along with the need for “a new central business district (CBD3) connected by rail and strategic highway.” In other words economic not quality growth. For me this conjures familiar images of long bridges, highway interchanges, barriers, ramps slopes and lots of wasted space left over; real ‘Hong Kong’ stuff and what we do best. Our development process is not quality led, it’s not even very functional, it’s purely infrastructure for growth and it aims first and foremost at creating work, jobs and profits whilst obtaining the cheapest development product for the taxpayer. You get what you pay for as they say. ​With the large-scale changes to the logistics industry resulting from the development of port facilities both in Shenzhen and within the Greater Bay Area, strategic re-evaluation of the extensive land supply dedicated to this industry, particularly the container terminals in existing integrated urban areas, would appear more expedient, whilst providing opportunities for extensive, mixed development on sustainable principles. In the face of such opportunities, high risk approaches on greenfield or isolated sites like islands off East Lantau would appear misplaced. ​The Housing shortage can act to provide the government with an opportunity to radically rethink how they want the city to evolve, positively planning where quality public housing really needs to be, rather than simply utilising that land most easily available. The anticipation of new and future transport and communications technology, coupled with development of the ‘Greater Bay Area’ should inspire clear quality of life targets that are at the forefront of such thinking in creating a radically different, inclusive and liveable Hong Kong. 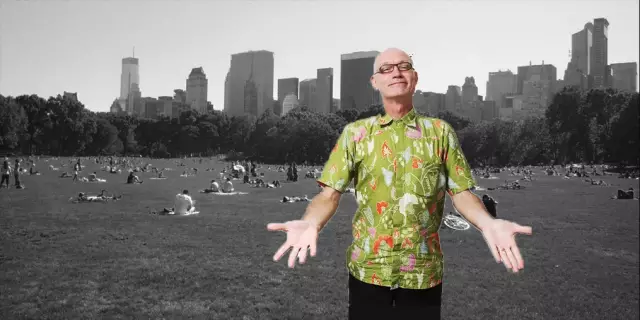 Barry Wilson is an Urban Designer, Landscape Architect, part time professor, public speaker, writer, climate reality leader and advocate for change. 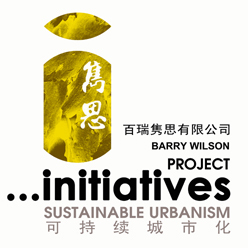 Barry Wilson Project Initiatives Ltd have been tackling urbanisation issues in Hong Kong and China for over 20 years. 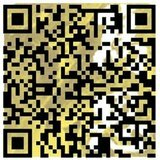 (www.initiatives.com.hk). Helliwell, J., Layard, R., & Sachs, J. (2018). World Happiness Report 2018, New York:Sustainable Development Solutions Network. Garfield L (2017) Only 20% of Americans Will Own a Car in 15 Years, New Study Finds. Business Insider, Singapore. See https://www.businessinsider.sg/no-one-will-own-a-car-in-the-future-2017-5/?r=US&IR=T (accessed 16/05/2018).